Introducing Doodle Stencils: stencils for creative doodling, coloring or tangling! 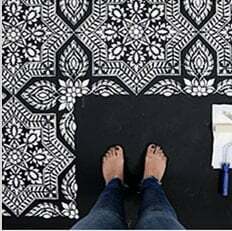 These simple stencil designs will help you to unleash your drawing and doodling creativity and create beautiful one-of-a-kind pieces of hand drawn art. Simply trace the shapes and add your own doodles inside or outside the stencil shapes! Can't be any easier. Now each doodle can be colored with pencils or markers or left in monochrome. Coloring is very "zen": it's the perfect stress-reducing activity for adults and kids! Stencil doodling is an excellent way to create hand-made cards for family and friends, or make your own coloring pages. According to various research, doodling and coloring activity helps to focus the mind, to enhance one's creativity and to cultivate mindfulness. Coloring is extremely popular and is widely used as a form of artful meditation! Unplug and unwind with our doodle stencils and please send us your doodles so we can share your unique artwork with our fans!